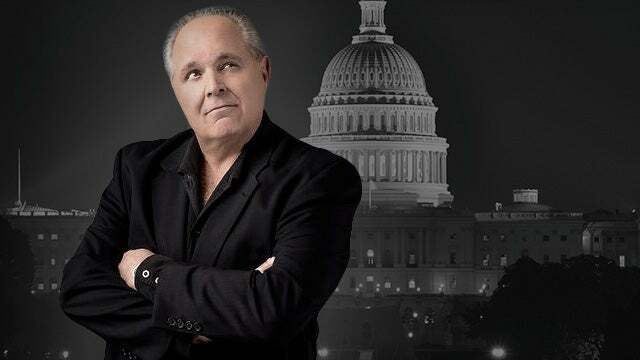 RUSH: I mentioned earlier, folks, that we are into the fourth week, and it may be -- it's still the fourth week, but the days are piling up where I am continually blamed for the ongoing government shutdown. I got a note today from Jeff Lord who writes at the American Spectator and for NewsBusters, and he used to be up there on CNN. He was a conservative analyst and strategist, pro-Trumpian until CNN got rid of everybody that speaks for Trump. And he sent me a link to a story at TheHill.com today where I'm being blamed for this. It's actually Juan Williams. It's a story about Juan Williams having a conversation with Karl Rove in which I'm blamed for all this. And I wrote him back, said, "Jeff, do you really believe they think this, or is this just stuff they're regurgitating for their base?" He said, "No, they do, Rush. I've asked myself. I'm convinced that they believe this, like they believe a bunch of other things that nobody can understand." Let's look at today's montage. The Drive-Bys continue to say Trump is a hostage to me. CHARLIE SYKES: Is Rush Limbaugh going to say that I surrendered? JUAN WILLIAMS: Rush Limbaugh and Ann Coulter, they're running this government. CLAIRE MCCASKILL: Rush Limbaugh gave him what for, and he then reversed course. CHRIS MATTHEWS: How does he escape from the Rush Limbaugh death grip? RON KLAIN: Nancy Pelosi did something very smart. She should have gone the rest of the way. She might as well just have invited Rush Limbaugh to deliver the State of the Union address. RUSH: Hey, I could go for that. I would do that. By the way, apparently the White House is in consultations with Mitch McConnell to see if there's some way that the Senate can invite Trump to do a State of the Union address. Now, the Senate chamber is not big enough, if you're gonna have the entire Congress there. You can only fit everybody in in the House chamber. I'm not aware of a constitutional provision for the Senate inviting the president up for State of the Union. The State of the Union, as we mentioned yesterday, is a constitutional requirement, and for the most part, it's been a pro forma thing until the age of TV. For the longest time it was submitted in writing, it didn't get a whole lot of attention media-wise because it was like everything else, it was something mandated. And so the executive branch tried to keep as little out of it as they could because of separation of powers. And then the age of television, radio before that, the age of broadcast changed everything. And so the State of the Union became a grand political opportunity, and that's how it's been used. And it's become an opportunity for presidents to promise agenda items, to lay out an agenda with wild promises like -- how many presidents in my lifetime, I'm trying to think, have stated a national objective and they have challenged Congress to come up with the money to cure cancer? My whole life. Nixon did it. Clinton did it. They've all done it. There's no cure for cancer. Wild agenda items, promises galore, government largesse here, government largesse there, all of it aimed at the unfortunate, the less fortunate, the hungry and the thirsty. And there's just perfunctory time given to the State of the Union. “I'm here to report tonight the state of our union sound.” Yay. And everybody stands up and cheers for a while, and then here comes the laundry list. It used to just be a pro forma thing that didn't have much to it at all because of the executive branch not wishing to give up much to the legislative. 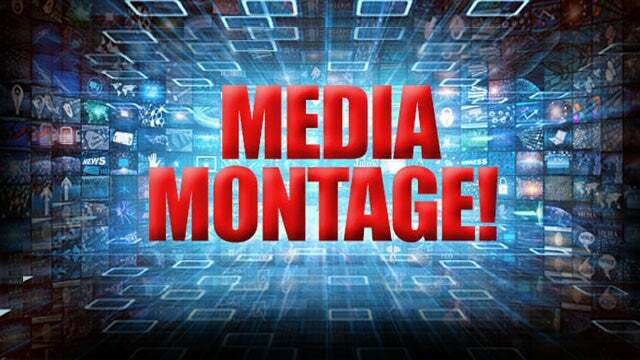 Now, the voices in this montage were Juan Williams, Claire McCaskill -- do you know she has been hired by PMSNBC? The defeated Senator from Missouri. Chris Matthews was who asked, “How does Trump escape from the Rush Limbaugh death grip?” Ron Klain: “Nancy Pelosi did something very smart. She should have gone the rest of the way. She might as well just have invited Rush Limbaugh to deliver the State of the Union.” And of course there was raucous laughter. Now, we move on to Fox & Friends today, and they played a clip -- Hannity played this. I gather that something I opened the program with yesterday has made the rounds of cable news. And it was me suggesting, imploring, advising, guiding, instructing the president to hang in. That it's gonna be tough but he can win this if he can just hang in. It's gonna take a few more weeks but that he can win this. There will be risks involved and it isn't gonna be easy. So that clip has been played for the benefit of other panelists on these shows to react to. And so here is Ainsley Earhardt on Fox & Friends this morning getting the ball rolling there. EARHARDT: Rush Limbaugh had this to say. RUSH ARCHIVE: I'm just gonna tell you, folks, if President Trump can hang in there, if he can hang in there and not go wobbly, he can win this. It's gonna be a few more weeks. There are gonna be a lot of risks. There are gonna be a lot of temptations to drop the ball and cave. I don't mean cave. There's gonna be lot of temptation to make a deal. But he can win this if he just hangs in there. RUSH: You notice the proper phrasing in my -- they said that Sinatra, the brilliance of Sinatra was his phrasing. Well, I, too, have mastered the art of phrasing in articulated speech. Of course, there isn't any other kind of speech. All speech is articulated. But there is a talent to it in terms of timing and phrasing. Phraseology, the pauses and so forth. You noticed that, I'm sure. So up next is Brian Kilmeade reacting. Brian Kilmeade and Steve Doocy then react to my little opinion there. KILMEADE: -- to get everything he wants. He wants between -- obviously over the 1.3, up to 5.8, maybe give up some DACA pathway to citizenship. There's something else they could do there, but I think doing a deal also shows leadership, 'cause right now the polls show he is getting most of the blame, 49% blame him; 33% blame the Democrats. RUSH: Right. So this is what I meant by pressure is going to be intense and it's gonna be tough 'cause you're gonna have people, even Trump supporters, “My God, Mr. President, you gotta stop the bleeding. Look at the polling data. Oh, my God, 49% think you’re the problem. You gotta bail, you gotta cave, you gotta make some kind of deal.” This is where Kilmeade's coming from. Make a deal, two billion in there, make a deal, give the DACA, DREAMer kids their amnesty, and let's be done with this and then declare victory. That's not how this should end. If it ended that way, you think anybody's gonna be up there praising Trump for presidential leadership and recognizing where he was and the need for compromise. The only way that this is gonna end with Trump being heralded is if Pelosi gets everything she wants and Trump is gonna be hailed as realizing he had a no-win situation. Trump finally woke up from the poisonous influence of Rush Limbaugh and decided that was the wrong way to go. That's how Trump is gonna be heralded as winning this, if he caves and lets it look like Pelosi won. And so any advocacy for something less than $5.8 billion, “Ah, do 1.8, do two billion, and then give the DACA kids their amnesty and then we'll call it a win.” How is that anything Trump wants? Trump's not called for $2 billion, and he's not called – well, he has posed DACA amnesty with the DREAMers, but the Democrats rejected that. So how is any of that, in real terms, a win for Trump? How is any of that a win for the country? This is one of these situations where you really have to ask, what is there to compromise on? The Democrats do not want a wall. 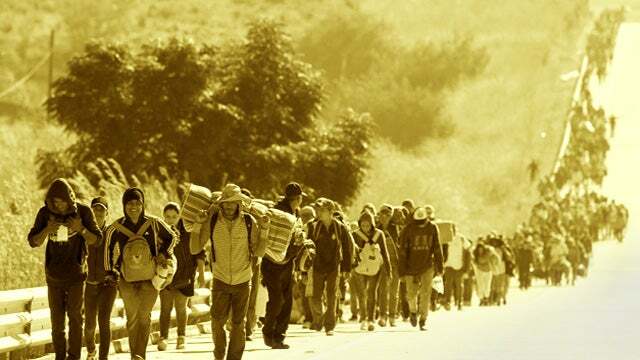 The Democrats are hell-bent there won't be a wall, and the Democrats are actually moving in the position that we shouldn't even really enforce the border. Some of them are. Where do you compromise with that? Where is the overlap? But it's gonna be tough because people have understandably been so ingrained, the government up and running means all is well. And we're gonna continue with stories of suffering and disease and suicide and car crashes and you know all blamed on the government shutdown. All blamed on Trump. The government shutdown is just as easily the fault of the Democrats, willing to spend four-some-odd trillion dollars, but unwilling to allocate five billion of it. If you've got $50,000, this is the Democrats with $50,000 unwilling to spend 47 bucks is one way to look at this. BRINKLEY: I think there's suspicion now for the first time with, let's call it a gang of ten Republican Senators -- Mitt Romney's now joined the Senate. They're worried, is Donald Trump really perhaps an agent of some force for the Kremlin? Is his ties as close to Putin as we thought? And they're looking for cover. Some of them are starting to want to create a senatorial record that isn't just rubber-stamping Donald Trump in fear of the mean tweet or Rush Limbaugh's gonna attack them. RUSH: Wait. How did I end up in that bite? What is this? “The Republican senators are looking for cover. They want to start creating a record that isn't rubber-stamping Trump in fear of the mean tweet or Rush Limbaugh attacking them.” But that's not the main thrust. The main thrust of this is that we're all communists and we're all Russians now. Mitt Romney's joined the Senate, that means Romney's been talking to what's-his-face here, Brinkley. “Is Donald Trump really perhaps an agent of some force to the Kremlin?” Do you realize how insane these people are? They're going crazier and crazier with no evidence, in fact, evidence to the contrary. Now it's being put out there that Trump may actually -- it was going back and forth. Trump was an unwitting dupe of the Russians, so stupid, so incompetent, so incapable the Russians were able to use him and didn't even know it. Now he's a Russian agent, now he is a force for the Kremlin. And there's 10 Republican senators that think so. People are literally losing their minds over a totally fabricated, made-up story, allegation, it's mind-boggling. It is literally mind-boggling, especially when you remember that there have been the closest of ties between the Democrat Party and the communist leadership of the old Soviet Union. They were inseparable! Liberalism is a branch of communism. They're both on the same side of the political divide, the Democrats and the communists are on the same side of the political divide! And they all want the same things! And the Soviets, the communists, the Russians have influenced via infiltration American education, American religion! And somehow Trump, out of all of this, Trump is some agent? As I say, mind-boggling. This morning C-SPAN's Washington Journal, Representative Salud Carbajal answered viewer calls and during the segment here's a caller, Barry, from South Carolina and Carbajal or Carbajal, the J is not pronounced. It could be Carbajal, depending on accent. But they're talking about the government shutdown. BARRY: I would like the representative to talk a little bit about the bill that the Senate passed and how it came about that we ended up in the shutdown with the Senate passing it, and going to the House and then Trump, he agreed to it as well, and until Fox got involved and Rush Limbaugh. CARBAJAL: Thank you for asking that question because it allows to give perspective to what transpired. This president agreed with the United States Senate on a bipartisan bill that was put forth and voted on by the United States Senate to keep the government open. The president reneged because he was watching Fox News, who suggested that he not move forward with signing the bill. RUSH: No, no, no, no, no. That's not what happened, Salud, that's not what happened. What happened was that Trump was in the process of signing it and I was on this program warning him not to do it, that he better not do it, he better not, and somebody walked in the office, Salud, and said that Trump already had the D written down on his signature, said, "You better not do it. Limbaugh says it's over if you do it." And so Trump stopped signing. That's what happened. You people on the left have gotta get your bogus lines of thought straight. Fox News had nothing to do with this one, Salud.